Kei Lee earned her master's degree of Social Work from Columbia University in New York, New York. She has experience working with children, adolescents, and adults in individual and family settings. Kei has been a mental health provider in the US, Canada, and Japan. By using her own multicultural experiences, she is able to work with clients from diverse backgrounds and in unique situations. She has also worked directly with the US military population in Japan. 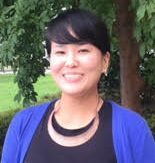 While taking a client centered approach, Kei utilizes the cognitive behavioral therapy model for her clinical work.